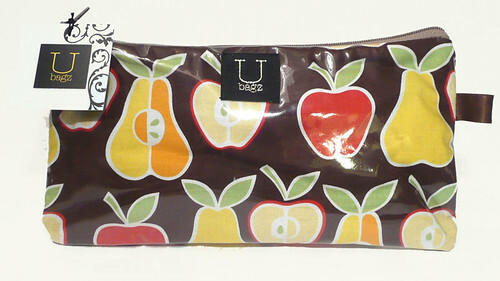 These UBAGZ envelope style pouches are cotton prints covered in vinyl. They measure 9" long x 5" high. They are one-of-a-kind and handmade! This sunglasses print is perfect for summer! Suitable as a pencil case, cosmetic pouch or clutch. Exterior is vinyl. Victorian furniture on a black background. Blue zipper. 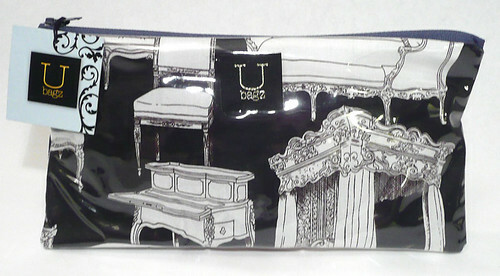 Suitable as a pencil case, cosmetic pouch or clutch. Exterior is vinyl. This clutch has a ring that fits around your wrist! Makes a great evening clutch. Dance the night away without worrying about your goods. Suitable as a pencil case, cosmetic pouch or clutch. Exterior is vinyl. 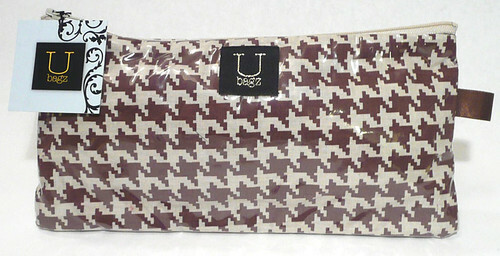 Brown hounds-tooth print with cream zipper. Suitable as a pencil case, cosmetic pouch or clutch. Exterior is vinyl. Mod fruit are about 2" high on a brown background. Beige zipper. 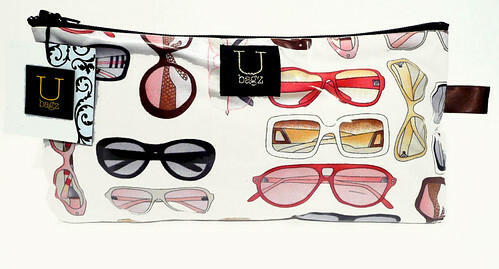 Suitable as a pencil case, cosmetic pouch or clutch. Exterior is vinyl.